Standard Shipping & XpressPost will be sent via Canada Post. Orders exceeding 8 units: Standard shipping will be sent in multiple boxes via Purolator Ground or Express. All orders are sent via DHL eCommerce. Any question I have you always give the right answer. I only trust you. 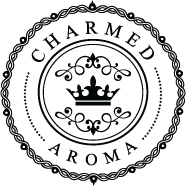 Charmed aroma is the number 1 jewelry company online I trust . I have never tried any other because I know already how charmed aroma takes care of their customers, don't fix what isn't broken.